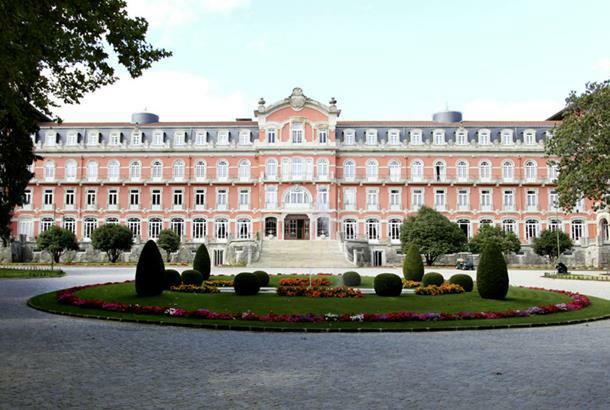 A palace with centuries of tradition: Located approximately one hour away from Porto, the magnificent Vidago Palace Hotel (pictured above) affords an ambience of art worship and an atmosphere worthy of kings. This is one of Portugal's grandest hotels, one which has been refurbished in great detail and with sympathy to its decades of tradition and old-world luxury. Its course has similar pedigree, and remains a delightful retreat; not overly punishing while remaining a test. Situated an hour and 10 minutes from Porto airport, Vidago's course complements the relaxed but stylish nature of the hotel. 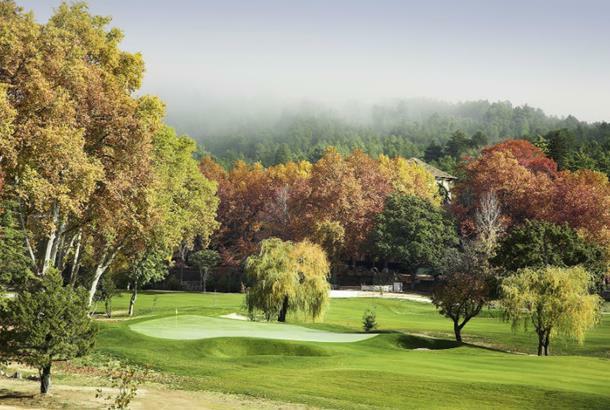 Even the most discerning golfer will treasure this hidden palace in the woods Living legend Unique and exclusive, the Vidago Palace Hotel is the perfect combination of luxury and the natural beauty of a Centenary park. Like an enchanted world, the palace extends an invitation to enjoy unforgettable experiences, in a setting of sophistication and splendour imbued with the charm and romanticism of the Belle Époque. A place of unique attractions, the Vidago Palace Hotel reopened in 2010 with a mission to offer guests an authentic journey back in time. Its magical setting and architectural heritage have made it a living legend. A modern spa, golf course and top-flight restaurant complete an offering of excellence, making the hotel an undeniable point of reference. Discover this 'world apart', where you will find the poetry and magic of a truly special experience. Vidago Palace has a course of striking contrasts, all with a particular respect for the natural surroundings. Distinctive features of this course include the support walls of all the tees, which are made of local stone, and the century-old trees, almost all of which have been preserved. The first four holes, played within the Centenary Park of Vidago Palace, brilliantly anticipate the next 11, newly built in the Oura valley. The last three are played in the upper part of the Centenary Park, and afford magnificent views to the neighbouring hills and villages. Every hole is a challenge and each of the last nine is completely different from the one before, giving golfers the opportunity to deploy their full range of shots. The award-winning Vidago Palace course was redesigned by the firm Cameron & Powell from an original by Mackenzie Ross built in 1936. The course has now been rebuilt from scratch to meet USGA specifications for greens and tees. It has been transformed into a par-72 course, making it a potential venue for international championships, while maintaining the identity of the original design and faithfully reflecting its beauty, the qualities unique to the sport, the spirit and the distinctive flavour of the location. As a result, the course will challenge and delight even the most experienced player. The recently enlarged golf amenities include a golf academy, a 340m driving range, a chipping area and two putting greens. Buggies, trolleys and electric trolleys are available to players at the clubhouse; clubs can also be hired. 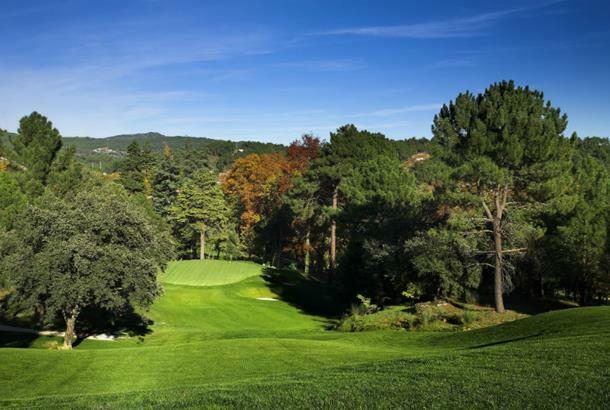 The comprehensive nature of the Virago Palace offering has been demonstrated by it hosting the Portuguese Senior Open in 2014 – part of the European Senior Tour – as well the Bonnalack and Patsy Hankins Trophies, the international amateur match between Europe and Asia-Pacific. Designed in the last century, during the reign of King Carlos I, the Vidago Palace Hotel was opened for the first time in 1910. Oozing distinction, as one of the Leading Hotels of the World, the 100-year-old Palace now provides a luxury service of excellence and comfort. There are 70 magnificent rooms and suites, while you can savour the gastronomy of the majestic Grand Ballroom and relax in the modern Thermal Spa, where the mineral water of Vidago – recognised for its exceptional therapeutic qualities – reigns supreme. The sumptuous spa and bicycle rides along the many trails provide a fantastic opportunity to observe the local wildlife are among the attractions of a resort that offers uncommon class.